American actress Meghan Markle was baptized by the Church of England's highest religious authority before her marriage to Prince Harry in May, the Daily Mail reported on Thursday. Canterbury Archbishop Justin Welby officiated at the Royal Chapel in London on Tuesday, in the presence of Prince Charles, his future father-in-law and heir to the throne of Elizabeth II. Harry's Kensington Palace did not want to confirm or deny the news. Markle, 36, chose to be baptized and confirmed by the Anglican Church out of respect for Elizabeth II, who is the supreme governor of that religion, as have all English monarchs since Henry VII, who decided to break with the Vatican. The ceremony was held with water from the Jordan River, where Jesus was baptized, and comes from the private source of the royal family, according to the newspaper. 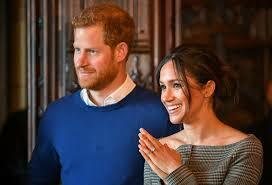 The couple will join May 19 in the Chapel of St. George at Windsor Royal Castle. Markle's father is Episcopalian - American split from Anglicanism - and his mother is from another Protestant confession, but studied at a Catholic school.